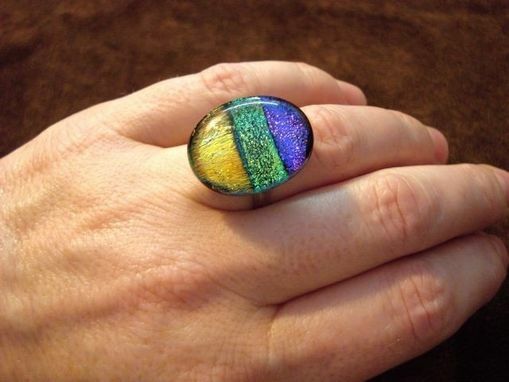 Your ensemble devoid of color, or do you need to bring that rainbow-hued outfit all together? 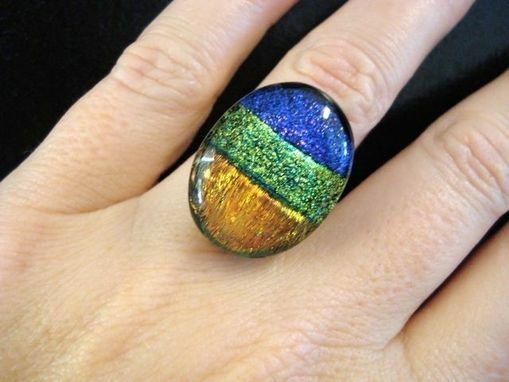 Add to your outfit's spectrum with this adjustable silver ring topped with dichroic fused glass. 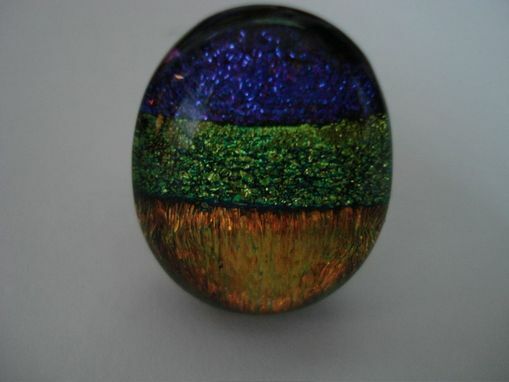 It's a wonder to see this 1'' x _'' ring up close, with the bits of color embedded in each piece of colored glass sparkling with your every move.